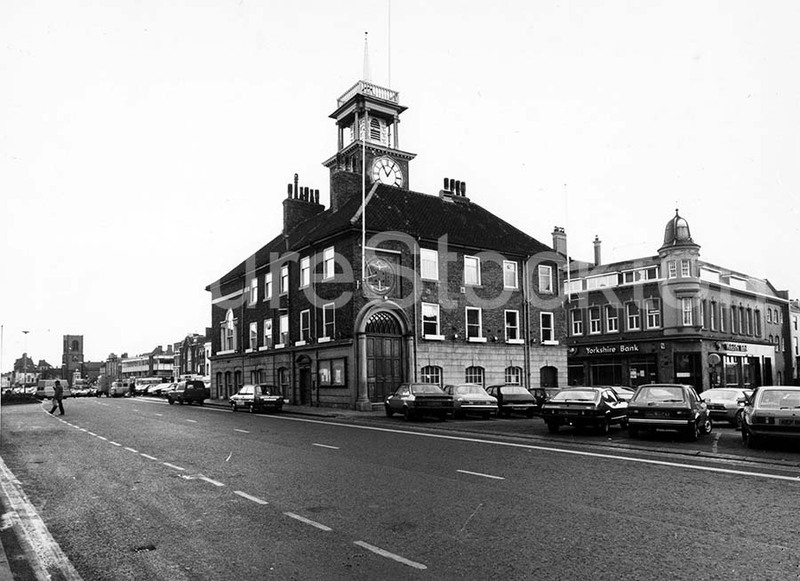 A view of the Town Hall on Stockton High Street c1983. I would agree with all you say but would add that the poverty you mention was universal throughout the British Isles, Ireland and Europe, poverty was so widespread that millions of citizens fled to America,the New York Ellis Island immigration centrefigures are: 1880s: 5.2 million, 1890s: 3.7 million, 1900s: 8.8 million, 1910s: 5.7 million, 1920s: 4.1 million. The percentage of America’s foreign-born population in 1860 born in Great Britain, Ireland, or Germany: was more than 80%, and in Australia and Canada we had a similar picture European migration to Australia began with the British convict settlement of Sydney Cove on 26 January 1788. The first arrivals comprised 11 ships carrying 775 convicts and 645 officials, members of the crew, marines, and their families and children. The settlers consisted of petty criminals, second-rate soldiers and sailors and the colony experienced hunger and hardships. The Second Fleet arrived in 1790 bringing more convicts. The conditions of the transportation was described as horrific and worse than slave transports. Of the 1,026 convicts who embarked, 267 (256 men and 11 women) died during the voyage (26%); a further 486 were sick when they arrived of which 124 died soon after. By the end of the penal transportation period in 1868, approximately 165,000 British people had entered Australia as convicts. This loss of our very own Brit people to immigration losses was the price we paid for our own improvements in jobs, business opportunities and private wealth creation. The worst mistakes we made was getting involved in two world wars. If we had kept out of these two costly wars then modern Britain would have been much wiser and richer. It must be understood that Stockton as I knew it was a dirty old town which lacked developement from the late 1920’s to the 1960’s. Every house had coal fires it was surrounded and even in the centre we had factories belching out fumes and dust. After the war this country was on its knees we owed our crown jewels to America for war aid and that did not get paid off for decades, there was no money for the N.E. as it is now, it was needed for all the bomb ravaged Cities to get them up and running. I went to London for a holiday after an operation and was shocked at the damage that was still very obvious, I went abroad from Liverpool in 1947 and it was still clearing up the rubble from the bomb damage, I could see why they got what little money was available. What building was done had to be what could be afforded and design lost out to function, Stockton could not afford both. When Stockton finally got money to develop it was mis-used with people ending up in Prison that was a set back and we ended up with a fudge instead of proper development. Now we have a lovely town, my opinion of course, the latest development is a picture and the functions they hold a big draw I say well done Stockton Council keep up the good work. This is how it looks in my earliest memories of the High St. I’m going to nominate it as evidence of how much better today’s version of the High St. is, good riddance to the dual carriageway & car parking.